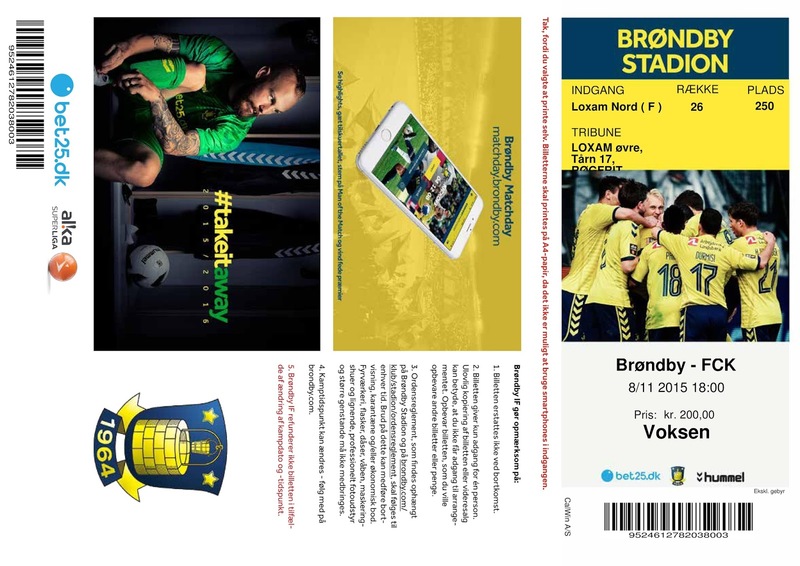 Brøndby IF (BIF), or Brøndbyernes Idrætsforening to credit them with their full title, is a professional football club from the Brøndby district in the west of the Danish capital of Copenhagen. 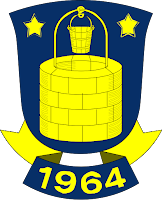 The club was formed on the 3rd December 1964 as an amateur club from the merger of two local sides, Brøndbyvester IF and Brøndbyøster IF to play in the sixth level of national football. 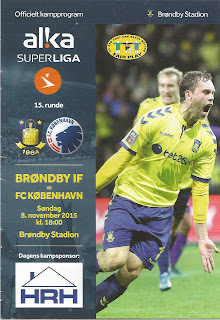 Part of the agreement behind the merger was a promise by the Brøndby municipality mayor to build a ground. The Brøndby Stadion was ready in its basic form for play in 1965. The team started out in regional football, progressing to the Zealand Series in 1967 under Coach Leif Andersen. A couple of seasons later with John Sinding in charge of team affairs, a further progression was made to the fourth tier Denmark Series. In 1973 player Per Bjerregaard retired to become chairman of BIF and sacked Sinding. In his place came Finn Laudrup, the father of Michael and Brian, as player-coach. The team were promoted playing an attacking style of football in 1974. Laudrup departed to sign for top flight club KB. In 1977 Brøndby won promotion to Division Two, with Bjerregaard persuading Laudrup snr to return on a professional contract under head coach Tom Køhlert. Laudrup’s goals fired BIF to the top flight, when he called it a day on the pitch. In his place the club gained his son Michael. In June 1982 Michael Laudrup became the first ever Brøndby player to be selected to play for the full Denmark team. The team ended their first top flight season in fourth place. Laudrup was sold to Juventus in 1983, to allow the club to grow. Brøndby won their first ever Danish title in 1985. A year later the club became the first Danish side to go full time professional before entering the stock market in 1987. Further league titles arrived at Brøndby Stadion in 1987, 1988, 1990 and 1991, while the DBU Pokalen (Danish Cup) was lifted in 1989. The successful Brøndby side of this era formed much of the victorious underdog Denmark side who lifted the Euro 92 title, with John "Faxe" Jensen, Lars Olsen, Peter Schmeichel, Brian Laudrup and Kim Vilfort all starring. In 1990 the club had hired former national captain Lars Olsen as coach. He took the side to the semi-final of the UEFA Cup with wins over Eintracht Frankfurt, Torpedo Moscow and Bayer 04 Leverkusen. Brøndby Stadion was fitted out with temporary scaffolding stands to deal with the crowds as the national Parken Stadion was being reconstructed and unable to stage the big matches. A Rudi Völler goal for AS Roma in the last four clash broke Brøndby hearts. Unfortunately the club banked on further European success, which never arrived as the big stars moved on. The club hit a financial collapse after several deals went wrong. A financial plan was put in place to try and correct the club. It wasn’t until 1996 that they became stable. The 1995-96 season was very memorable as Liverpool were dumped out of the UEFA Cup under the management of Ebbe Skovdahl before the newly named top flight Danish Superliga was claimed once again. Brøndby went on to win a hat-trick of Superliga titles with further triumphs in 1996-97 and 1997-98. The DBU Pokalen was added in 1994 and 1998. In May 1998, the club bought Brøndby Stadium from the Brøndby municipality for 23.5 million DKK, going on to increase the capacity and make the arena all enclosed. Some major matches were moved to Parken Stadion while construction was ongoing. Brøndby became the first Danish club to enter the UEFA Champions League and clashes with FC Barcelona, Bayern Munich and Manchester United. Skovdahl departed to Aberdeen to be replaced by Norwegian manager Åge Hareide in 2000. On the 22nd October 2000, 28,416 spectators saw Brøndby beat Akademisk Boldklub 4–2 in the opening game of the rebuilt stadium. Køhlert took over from Hareide in the Spring of 2002 and introduced youth players into the starting line up as Brøndby lifted the Superliga title. In the lead up to the 2003-04 season the club announced that Michael Laudrup would be taking over as manager with John Jensen as his assistant. The club lifted the Pokal in 2003 before claiming the Superliga and Pokal double in the 2004-05 campaign. However, in May 2006 the management duo could not come to contract agreements with the board of directors and left the club. Dutchman René Meulensteen became the new man at the helm but resigned after poor results just six months later. Meulensteen revealed that the club had big internal problems. Køhlert was once again appointed as head coach. After a period of fighting over control of the club, including a bid from former star Schmeichel, Køhlert’s side went on to lift the DBU Pokal with a 3-2 victory over Esbjerg fB in 2008. Køhlert stepped aside once more, this time to be replaced by Kent Nielsen. New sponsors KasiGroup led to Brøndby bringing in several players with international experience in 2008. Unfortunately the company owner fell out with the club and left owing up to 45 millions DKK, in a legal case that went on for the next three years. In May 2013, with Brøndby close to bankruptcy once again, a group of investors led by Ole Abildgaard and Aldo Pedersen saved the club, before Jan Bech Andersen took over in April 2014 to become chairman and replace the board with his own team. A major sponsorship deal was signed with Bet25, while Thomas Frank continued to try and mastermind success on the pitch. 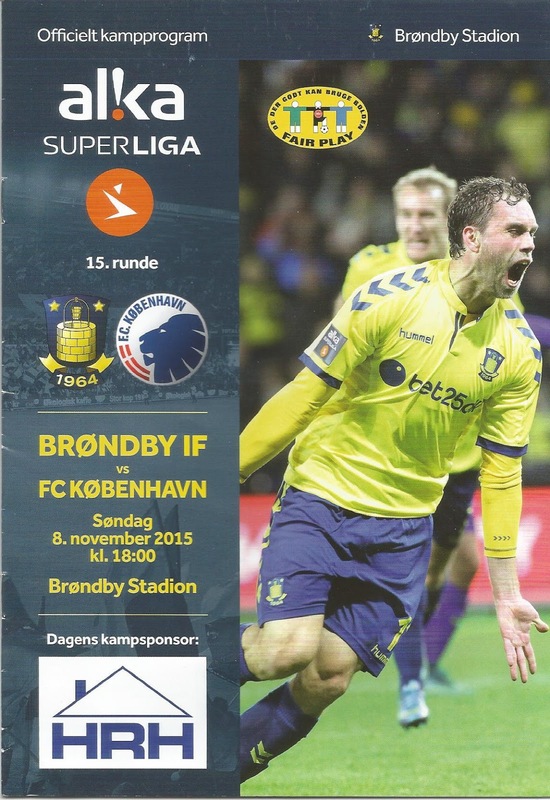 Brøndby IF will play in the Danish Superliga in the 2015-16 season. When I began looking at how to spend my solitary Sunday off each month at work I decided to visit some games and new city’s overseas. I had previously gone to Monchengladbach and Turin. After scanning the fixtures and cheap flights, Copenhagen grabbed my attention. Flights from Luton were at perfect times, and the ‘New Firm’ derby between BIF and FC Ko was scheduled. Even better was the price. It was just £30 return. Despite the fact I’d have only been back from Thailand a few days earlier, this was a chance I wasn’t prepared to miss. Although an 8.30am departure was good, I decided to treat myself, so I’d booked into the Ibis Hotel at Luton Airport on the Saturday evening. I left work after late shift and got to my room to enjoy a pot of tea while watching Match of the Day. Consequently I woke on Sunday near to my departure point and nice and fresh. OK it cost a few quid, but the quality of the day was already enhanced. As it transpired I could have had an extra hour in bed. The customs at the airport were excellent and I’d already checked in online. My ticket had been sent to my IPhone. Just how did we used to manage before modern technology? At the airport I nearly attempted to board the Easyjet service to Copenhagen before realising my error. Sadly, my Ryanair flight was delayed by thirty minutes. It was a beautiful day and the scenery looked good out of the window as I drifted in and out of sleep. The flight took two hours. Passport control was extremely efficient before the five minute stiff walk to the main building. Buying a day travel pass was a piece of cake and cost the equivalent of £7. There was just a few minutes to wait before the regular service to Central Station arrived. Copenhagen promised much. The people on the plane all looked good sorts, and the stewardesses were very aesthetic. So it continued in the station, where the assistant in the 7/11 store spoke perfect English and was most helpful with my purchase. Off I went on a crisp windy afternoon, taking a look at Tivoli Gardens, Ny Carlsberg, Radhaus, Christiansborg Slot, Nyhavn and Rundetaarn on a beautiful walk. At one point I was trying to read the map in the wind, when a lovely young lady assisted me in my directions. This really was a quality city. After buying a replacement pair of reading glasses I headed for Nørreport station for the football side of the trip. My advance research had found me a couple of smaller clubs to visit on the way to Brøndby. There were others in the north, but I settled for a more tranquil afternoon. Originally I had hoped to be at the second tier clash between FC Roskilde and AC Horsens, but it had been moved to the Friday evening. The regular train service dropped me at Ny Ellebjerg station so I could visit BK Frem, before taking a bus to the home of Hvidovre IF. The train from Friheden St took me to Brøndby Strand St, where it was time to get off. The sun was dropping quickly and temperatures dropping, but I was really in the mood for the main event of the evening. Following the yellow and blue scarves and hats, I got on to the 13 bus. Around ten minutes later we were alighting at Brøndby Hallen stop. After a short walk I found myself by the corner of the impressive stadium. More reading before the trip had suggested that the Klubhuset Cafeteria overlooking the second pitch and training ground was the place to go. It was good advice. The Tuborb was around £4.50, with the special Christmas Ale just £3.65. I hadn’t a clue of the strength, but it worked! A trio of friendly home fans had pointed me in the right direction regarding the beer and were happy to hear that I’d be cheering on their team. They told me my F Block ticket was the envy of the home fans as I right next to the hated FC Ko fans. The clubhouse was doing a roaring trade in massive portions of food. I certainly recommend it. A small counter with yet another really helpful lady served beers. The staff really worked their socks off, including a fella with a resemblance to Freddie Starr, or maybe it was the Christmas Ale? Around thirty minutes before the 6pm kick off I decided it was time to go inside the stadium and take in the atmosphere. I was slightly shocked to find no bag checking or frisking on the way in. With a Carlsberg, free programme and large bag of crisps in hand I climbed the stairs and found my seat. As usual I had booked a seat right on the end of a row near the exit for a quick getaway. My print at home ticket had cost kr 200.00 (£20). Brøndby Stadion was a perfect setting for a club of their size. Holding 29,000 it consisted of two tiers all the way around. The home Sydsiden was all standing with the rest for seated fans. Large corporate areas were in the main Vest-tribunen, with a smaller area opposite in the Loxam-tribunen. All areas were under a continuous roof. I was indeed virtually on top of the away fans. They were extremely vocal, but nothing had prepared me for the arrival of the two teams. The FC fans set off fire crackers and numerous flares while making an absolute din. The home fans were more choreographed and just as impressive. I joined in and help up my yellow sheet to form part of a huge mosaic. Some fans were annoying stood at the top of the stairs blocking the view. I wondered why I was getting some looks for telling them to move. It turned out that they were plain clothed police, joining their massed ranks of uniformed officers. The game kicked off, and to be honest it was a huge anti climax. Brøndby in third place desperately needed a win to have a chance to haul in leaders FC, yet it was the visitors who seemed the more likely to score; not that there was really any goal mouth action of note. Just before the interval I popped to the middle layer and found a bar where I got another pint along with some snacks to keep me going. I returned to enjoy the half time tunes from the Stone Roses, Iggy Pop and the Fu Fighters. It really was a proper night out. If I thought the earlier pyrotechnics would be the end I was in for a shock. The away fans disappeared under the smoke and bright flares. The co-ordinators at the front had their fans going full pelt. Brøndby responded in kind with so much smoke that the pitch became invisible. After a couple of minutes the referee stopped the game. Nearly five minutes later it was able to resume. I honestly hadn’t seen anything like it before. If the match had been up to the standard of the show put on by the respective Ultras, it would have been a classic. Alas it was not. It was niggly and disjointed, with very few chances. Defences ruled proceedings, with both sides going for a slow build up. The poor highlights editor would have their hands full to put much together. København’s Paraguayan forward Frederico Santander tried to brighten up proceedings when he was sent off for the second of two ridiculous lunging challenges. With about five minutes left on the clock it was time for me to make a move. I had been apprehensive all day about making it to the airport to board my 9.45pm flight. The local transport websites seemed adamant that the 7.58 bus to Ørestad would run before later services were diverted. I was not massively impressed then, when I got to the Hallen stop. The driver told me that the diversion was already in place. He was the 500S bus, but he would be terminating at Brøndby Strand St. This was very worrying news. It seemed like forever before he was satisfied that the bus was full before he could set off. Fortunately once through the immediate stadium traffic we had a clean run. Although I tried to convince myself that all was going to be OK, and there was nothing I could do anyway, I started to get very concerned. Fortunately a train soon arrived to take us back to Central station. The 8.52pm would get me to the airport at 9.06. As soon as the train stopped I was off as fast as my legs would carry me. Thankfully some kind people at customs let me jump the queue. I knew it was still a good five minutes to the gate and it officially closed at 9.15. As I was half jogging as fast as I could, I saw a young bloke up ahead. He was also going to Luton. When he saw my concern he went on ahead and promised he’d hold the queue. It was a huge relief to arrive just as loading was about to begin. It’s fair to say that I was out of breath! After using my loose coins on water and snacks I settled into my seat and slept most of the way back to Luton. Unfortunately I just missed a southbound train by a couple of minutes, leading to a forty minute wait on the platform. It was good to relax on a mildish evening and take in what a brilliant day I’d had. After alighting at Hendon I thought of getting a cab home, but the indicator at the bus stop on West Hendon Broadway told me that a 183 to Kingsbury was still to come, saving me a tenner. It had been that kind of day!